Elkagorasa the Casual: How About Class Specific Dailies? How About Class Specific Dailies? 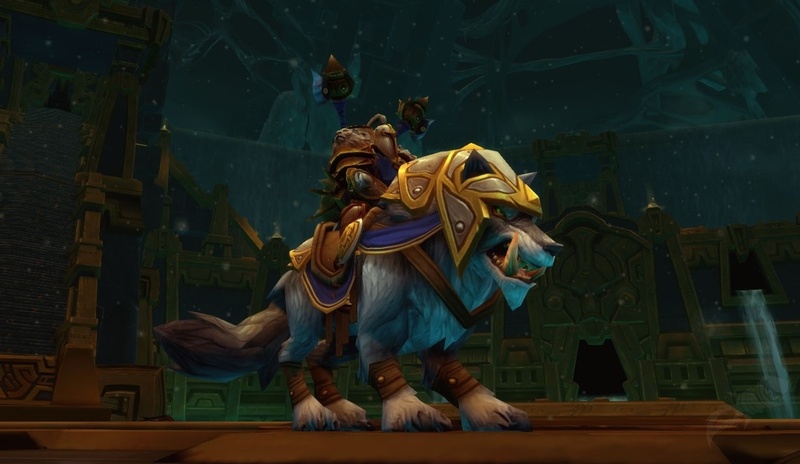 Thunder Isle introduced a new daily quest option that allowed you to either do PVE centric dailies (and get valor rewards) or PVP centric dailies (and get honor rewards). In 5.4, we got the proving grounds. This allowed you to practice with your class against NPCs in a non-destructive training arena. Not absolutely helpful, but as a phased area, it allowed the same area be used for multiple purposes. In addition, each person was faced against objectives that met their class they wanted to play. As I am grinding August Celestials rep on my Discipline priest, I am reminded of the pains of questing on a healing spec. Mobs die very slowly. Warbringer scout gave up and walked off last night before I could kill him. In WoD, I'd like Blizzard to introduce class specific dailies. For example, maybe it could be like an arena battle where you either play as the DPS/Tank or the healer. You may have options, like August Celestials / Jade Serpent location you could heal the defenders or kill the sha invaders for credit. Heals: "Head to your garrison walls and keep the defenders alive until your backup arrives!!" Tank: "Get in there and hold back the attackers! Keep them entertained until we can get the gates closed!" DPS: "The defenders need help! Go and thin down the crowd at the gate! If any get passed the tanks, its your job to make sure they don't get inside. Kill any 10 attackers." Sure, it would take some thought. There is still going to be the 'gather some of these' type dailies, where healers are going to have to avoid/fight the bad guys, but I think it would be a nice change of pace.